The Cremation Urns Company supplies stunning, handmade Urns for ashes, Wooden Ashes Caskets, Ash Keepsake Jewellery, Keepsake Mini Urns and Hearts and Pet Cremation Urns, all of the very best quality, to safely and lovingly care for the cremated ashes of a departed loved one. 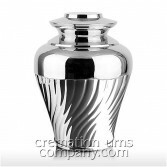 At The Cremation Urns Company we know that choosing the right cremation urn can be a very emotional process, even if some time has passed since the cremation. 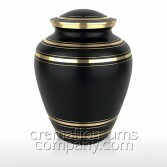 So we made buying an urn as stress free as possible with helpful things such as having key information listed on every product page, having clear, bright pictures with each description, and a straight forward, shopping cart with a choice of payment options like PayPal, credit card, bank wire or cheque payments. Bereavement is certainly the most painful thing we will ever have to bear, but sadly all of us at one time or another will experience it. This most difficult time of our lives is, to say the least, deeply emotional and disorientating, and is the worst possible time to have to make decisions. Fortunately there is usually no rush when it comes to selecting a cremation urn, and so when you are ready, the Cremation Urns Company is here to help you choose the urn that is just right. Here at The Cremation Urns Company we are very proud of our extensive range of cremation urns, and are continuously checking to make sure we always offer the best possible products at the best possible prices. We also realise that although price may not be the most important thing, it's reassuring to know that the Cremation Urns Company are always offering these great prices plus free shipping on every order to UK addresses. All this time and effort allows us to bring to you the most wonderful range of cremation urns available and the large majority of our beautiful urns and caskets are handmade by highly skilled artisan crafts people using the finest materials and time honoured techniques. Being handmade makes every urn subtly different from the next, making each one ever so slightly unique, we think this is a comforting thing to know and makes your memorial even more personal knowing that there isn't another urn anywhere that is exactly the same as yours. 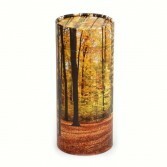 We have made every effort to stock a broad range of styles in an attempt to cater for all tastes as we know everyone will have their own thoughts on what makes their memorial right for them, even still we continue to add to our product lines as we discover new designs so we are sure you will find the perfect urn. We strive to make shopping at The Cremation Urns Company as comfortable an experience as we can, and pride ourselves on having the best customer service possible, so to limit any kind of inconvenience we perform a full unpacked quality check before anything is despatched, so you can rest assured that your urn left us in perfect condition. We have a no quibble returns policy, and as we have our own warehouse and offices, we are always here to offer considerate, helpful and friendly advice. Cremation urns come in an infinite number of designs, shapes and sizes, but it's important to know which one is right for you. As a result of the many variables in the cremation process the quantity of ash you receive after the cremation can vary but as a basic method of estimation you can say 1 pound of live body weight would equate to approx 1 cubic inch of ashes. Cremation urns are a beautiful way to have a permanent tribute to the life of a loved one and they can have several uses depending on your preferences. They can be used to hold the ashes, or if you prefer, they can be used to scatter the ashes, you can use them as a keepsake container for photographs, jewellery, wedding rings, a lock of hair, letters, or anything else that you consider precious and that will fit inside. Or you can use them to inter the ashes, but it's worth mentioning that you should check with the proprietors of the location of the interment for rules and restrictions. Cremation is definitely becoming more popular all the time, one reason for this is the lack of space in our churchyards. Another reason is that it's thought of as being a more eco friendly option, as there is a huge amount of chemicals find their way into the ground as a result of a burial. And thirdly there is obviously personal preference and these reasons are many and varied. Cremation urns can be made of all sorts of materials, including wood, brass, steel, aluminium, plastic, copper, pewter, fibreglass and a number of biodegradable material. This is worth considering as what you intend to do with your urn may dictate what type you should buy, this point is particularly pertinent with regard to bio-degradable cremation urns. 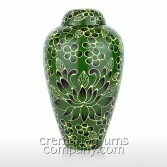 Keepsake mini urns are more often than not miniature replicas of the full size adult urn. Many people find this the perfect way to divide the deceased's ashes amongst family members, and being small allows one to store them away privately with ease if you so wish. 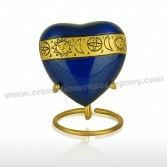 There are also heart shaped urns which are very beautiful and have a tactile quality which many find comforting, as the smooth, curvy shape of the heart fits perfectly in the hand. These keepsakes are also easy to display as a special display stand can be purchased specifically for this. Keepsake Mini Urns and Hearts are all made in just the same way, out of exactly the same materials, by the very same crafts people as the full size adult urns, so you can be sure of the quality and the match ability of these keepsakes if you are to pair them with a full size urn. Ashes Caskets are generally made of timber, usually oak or mahogany, and they all have the advantage of being suitable for display or interment and being made of wood are also bio-degradable. The same consideration regarding the interment of ashes should be applied here as with cremation urns, so you should check with the proprietors of the location of the interment for rules and restrictions. 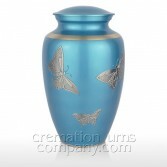 Wooden ashes caskets are generally of two types, with access from the top or the bottom. Caskets with top access are largely of a jewellery box design, with a hinged lid and either a magnetic catch or a little lock and key. 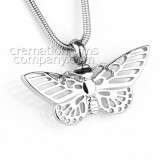 Ashes Jewellery is enormously popular nowadays with more and more people discovering that there is such a variety of beautiful designs, this makes it possible to carry with them a very personal little keepsake containing a tiny pinch of cremation ashes in an elegant and discreet piece of jewellery. 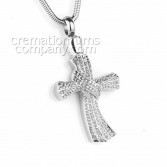 The cremation ashes jewellery is mainly manufactured from stainless steel and to a lesser extent sterling silver and they can be finished either plain and simply or adorned with intricate engraving or inlaid with stones or crystals. 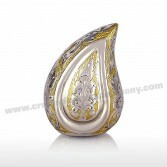 Ashes are placed inside the piece through a tiny threaded hole, a funnel is most often provided for this procedure, and then closed off with a little grub screw that either forms part of the connecting bail of the pendant, or act simply as a discreet method of plugging the tiny hole, we recommend using a drop of adhesive to make sure the plug does not unscrew. Most pet owners would insist their loving pet is just another member of the family, and as such are treated in much the same way as there human owners on their passing. Cremation urns for your pets are available in a wide range of designs, many of them baring animal specific motifs and each style of urn is available in a range of sizes to suit the different pet sizes. Pet cremation urns are made in just the same way, out of exactly the same materials, by the very same crafts people as the human urns, and many of the same considerations apply here as well, particularly the issue of whether an urn is bio-degradable or not.